"We do what we say we are going to do"
Improve your morning with a custom designed bathroom tailored to your exact needs. Kicking Horse Contracting Inc. will take your vision and enhance it with our extensive experience. 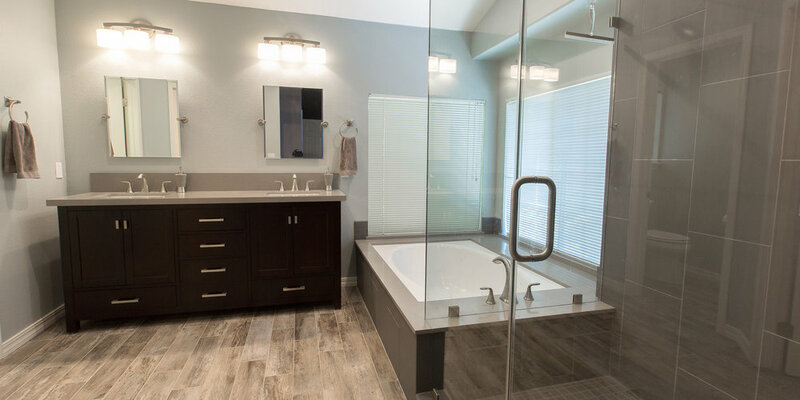 Let your mornings flow with a custom designed bathroom. We partner with our clients to bring their dream bathroom to life! We do everything from building custom vanities, counter tops, recessed cabinets, heated floors, custom shower installation, plumbing and electrical. You name it! We do everything to make sure your bathroom remodel is everything you want plus more!